Stormy weather, with its dark clouds and downcast character, can dampen anyone's mood. Having to stay indoors due to heavy rains is a downer, particularly for young, adventurous millennials who thrive by socializing with friends and colleagues. Motorola brings the sunshine indoors, once again making its mark in the smartphone scene with the Moto Z2 Play and Moto Mods. From instant movie theater vibes to an impromptu house party, Moto Mods are the rainy-day busting devices er that make every day interesting. Spend the day binge-watching a new TV series, stream a favorite movie or revisit favorite memories with home-movies the Moto Insta-Share Projector to create a your own private movie theater experience.. The Moto Insta-Share Projector can convert any flat surface big screen up to 70 inches in an instant. This means users can enjoy a movie or two in the comfort of the room as content is projected at the ceiling or any flat surface with a front-row viewing feel. The Moto Insta-Share Projector can extend the screen time up to one hour with its additional battery life, perfect for rainy weekend movie marathons. Drive away rainy day gloom with great music with the JBL SoundBoost Speaker. Keep the party going without worry - this Moto Mod has 10 hours of battery life and a built-in kickstand so you can host your own karaoke session or re-set the mood with upbeat tunes during a storm. Rainy days and tropical storms can mean sudden power failure, but you can avoid any charging mishaps with the handy Incipio offGRID Power Pack, which adds 22 hours of battery life in a snap. Added bonus: It’s also available with wireless charging. Sharpen photography skills while stuck indoor on a rainy day with the Hasselblad True Zoom . Go up close with the powerful 10x optical zoom and take high-quality photos with precision. It also has Xenon flash for great photos in any lighting conditions.Enjoy more flexibility and higher level of control by shooting in RAW format, and physical shutter and zoom controls make capturing great shots easy. You’ll also experience the Hasselblad legacy for the first time on your smartphone. Use the advanced imaging experiences to explore your passion for photography and fuel creativity, no matter where you are. Moto Z2 Play and Moto Mods are available in three exclusive Motorola outlets located in the CyberZone areas of SM Mall of Asia, SM Megamall and SM North EDSA. 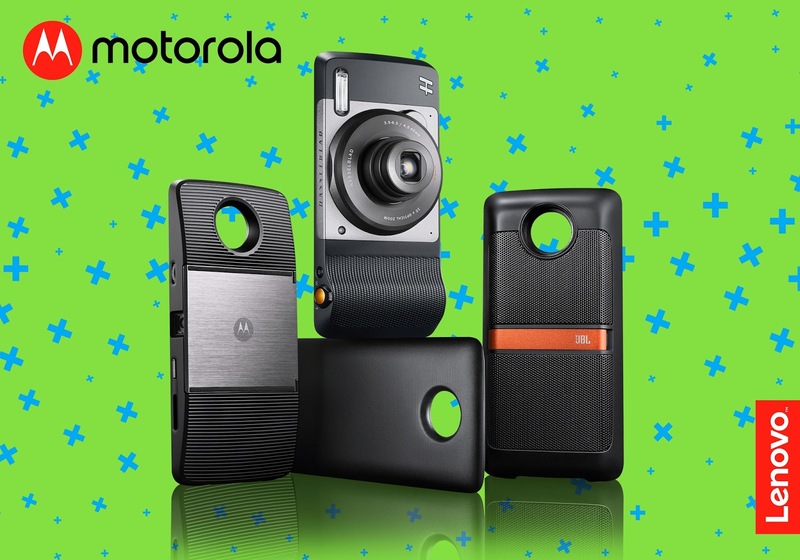 They are also available in major Motorola retailers nationwide and via online shopping site Lazada. Every purchase of the Moto Z2 Play from July 21 to August 31 will come bundled with Unlimited Possibilities gift box, full of smartphone accessories that are extremely useful for the dynamic Filipino consumer. This accessories haul includes four freebies, including a Moto Style Shell, protective metal bumper, selfie stick and liquid nano screen protector.